“Indeed, the number of months with Allah is twelve [lunar] months in the register of Allah [from] the day He created the heavens and the earth; of these, four are sacred. That is the correct religion, so do not wrong yourselves during them.” (At-Taubah 9:36). The Arabs used to consider these months sacred during the time of Jahiliyyah, except for a group of them called Al-Basl, who held eight months of the year to be sacred as way of exaggeration in religion. Muharram is an honorable month of the Islamic year, and it is called so (i.e. forbidden) because the fighting was forbidden therein and Allah (SWT) forbade us from injustice in them as a kind honor to them, although injustice is extremely forbidden in all times. Therefore, we must adhere to the commandments of Allah (SWT) and His Messenger (PBUH) and not to commit sins in this month, due to its sanctity and sacredness. The specific mention of these months does not deny or reject the sanctity of remaining months, days and nights. The month of Ramadan is undeniably sacred and sanctified month in the Islamic year. The day of Arafah has its own honor and nobility. Lailat-ul-Qadar (the Night of Decree or Power) admittedly has its special merits and virtues. But these four months were particularly labeled as sanctified just for one reason that their sanctity and holiness was confirmed even by the polytheists of Makkak in pre-Islamic period. The Prophet (PBUH) called this month ‘the month of Allah’. In fact, referring and attributing it to Allah (SWT) indicates its honor and merits. The sanctity of this month and attributing it to Allah implies that it has been declared as sacred by the Will of Allah Himself and no one could make any changes in its sanctity and sacredness or replace it with another month as the pagans of pre-Islamic days of ignorance were used to do. “Allah’s month Al-Muharram.” (Muslim 1163). The attribution of Muharram to Allah is to express its nobility, virtuousness and significance. “The most virtuous fasting after the month of Ramadan is Allah’s month Al-Muharram.” (Muslim 1163). This Hadith clearly declares that this month is the best month for observing the voluntary fast after Ramadan. Because it is Allah’s month. 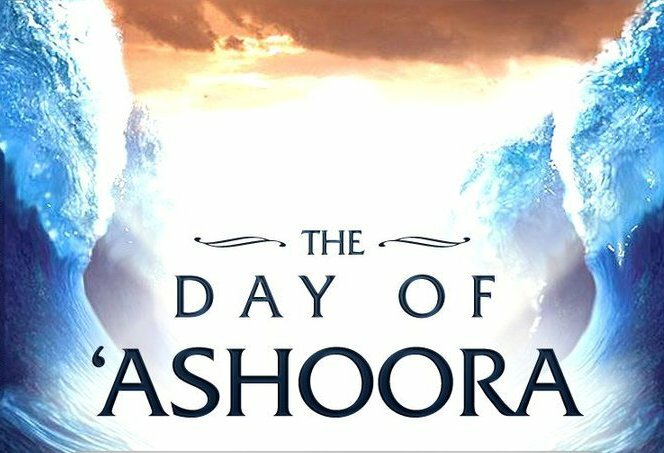 Quraish used to observe fast on the day of Ashura in the Pre-Islamic Ignorance Period, and Allah’s Messenger (PBUH) too, used to observe fast on that day. When he migrated to Al-Madinah, he observed fast on that day and ordered others to observe fast too. 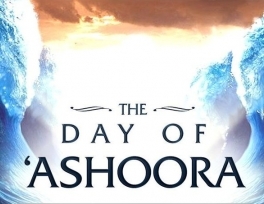 Later when the fasting of the month of Ramadan was prescribed, he gave up fasting on the day of Ashura and became optional for one to observe fast on it or to leave its fasting. Pharaoh ruled the entire nation of Israel enslaved and subjugated them, afflicted them with the worst torment, slaughtering their newborn sons and keeping their females alive. The reason why this tyrant king committed these criminal acts was the fear of the truth coming out from the offspring of this nation. They used to know, according to the glad tidings that came to them from the Prophet Ibrahim (AS). Ibrahim (AS) informed them that someone from his lineage would destroy this tyrant king and his kingdom. This news was famous among them; and pharaoh was informed of this news too. The tyrant king commanded his hosts to slaughter every newborn male child of this nation; in order to protect himself from due destruction. In spite of such precautions they did not changed what Allah wanted. Musa (AS) was raised in this tyrant king’s home and Allah (SWT) chose for the Prophet Musa (AS) to be born safely under the guardianship and protection of Allah (SWT) until he became mature. Musa (AS) was chosen as a Prophet by Allah and sent to this brutal king. Allah blessed him with many miracles as signs of Prophethood but pharaoh behaved arrogantly and was stubborn. He claimed that these signs are no more than a magic. He rejected his doctrine and decided to use different types of plans. Such as, fear, force and retaliation to overcome Musa (AS) and his followers. Pharaoh gathered his hosts, which were huge in numbers and well equipped. They pursed Musa (AS) and his followers, hoping to destroy them completely. Musa (AS) and his followers ended up at the sea with the brutal king and his hosts behind them. Musa (AS) struck the sea with his staff and it opened up for them to cross. Musa (AS) and all those who believed and were with him walked across the open paths in the sea. And Allah (SWT) drowned the brutal king and his army in the sea and destroyed them completely. The difference between miracles, karamahs and magic.